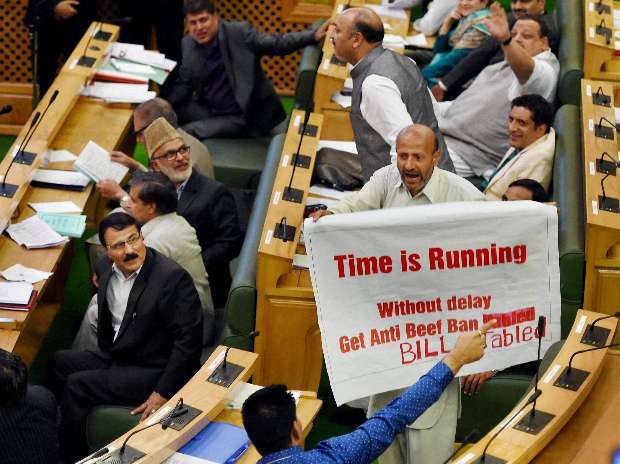 An Independent MLA Sheikh Abdul Rashid holding a banner demanding the passage of anti-beef-ban bill in the autumn session of the legislative assembly in Srinagar. 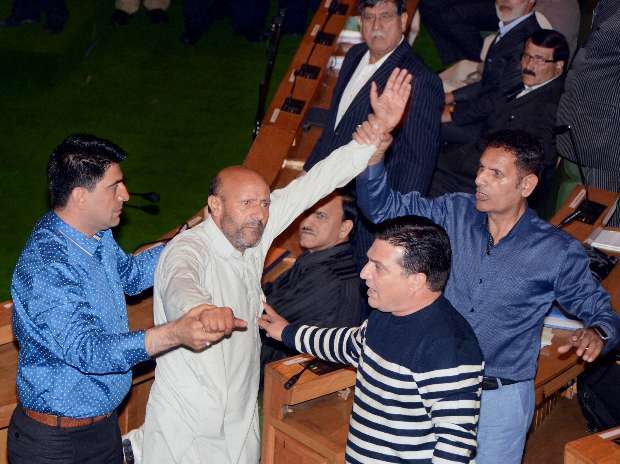 Congress and National Conference MLAs protest against the attack on independent MLA Sheikh Abdul Rashid (centre) by BJP MLAs for his Wednesday's Beef Party, during Autumn session of the Assembly in Srinagar. 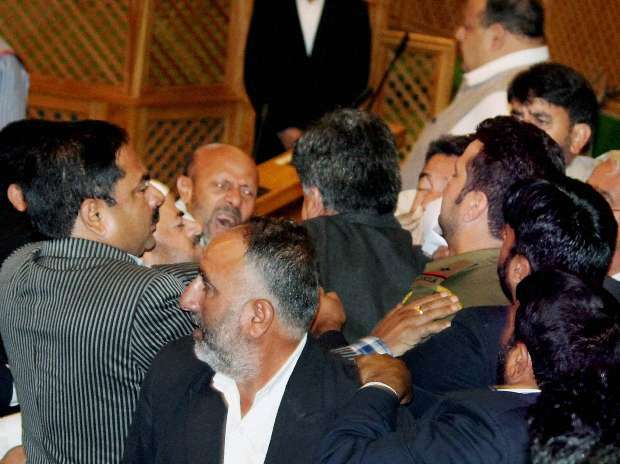 National Conference and Congress MLAs come to the rescue of independent MLA Sheikh Abdul Rashid while he was attacked by BJP MLAs for his Beef Party, during Autumn session of the Assembly in Srinagar. 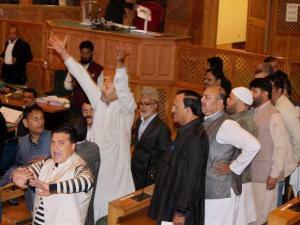 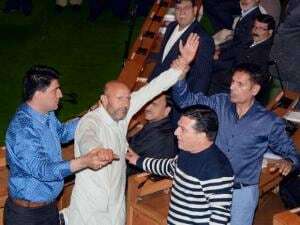 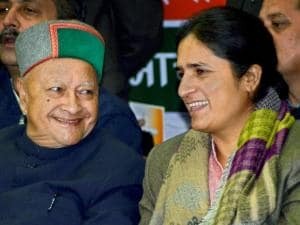 BJP MLAs attack independent MLA Sheikh Abdul Rashid for his Wednesday's Beef Party as National Conference and Congress MLAs try to save him, during Autumn session of the Assembly in Srinagar. 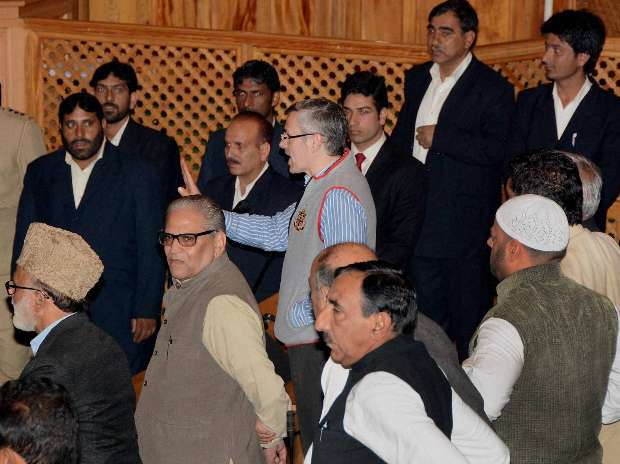 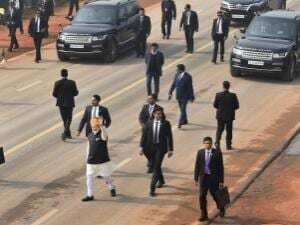 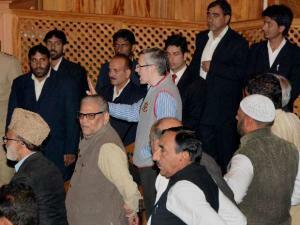 National Conference working president Omar Abdullah along with party MLAs protest against the attack on independent MLA Sheikh Abdul Rashid by BJP MLAs for his Wednesday's Beef Party, during Autumn session of the Assembly in Srinagar. 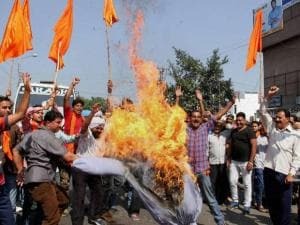 Activists of Hindu Shiv Sena burn an effigy of the independent MLA Sheikh Abdul Rashid for organizing a beef party in Jammu.